“Do more with less” is the battle cry for most corporate departments in the current economy. As budgets tighten, efficiency and effective spending are required. Your legal department is no different. Let’s face it - no one wants to deal with lawyers, but just about everybody must deal with lawyers from time to time. Legal disputes are a norm in corporate life. Even in the absence of disputes, sophisticated companies actively seek legal advice in the planning and analysis stages of corporate development to reduce risk, and build a solid foundation for long-term growth. The young company needs advice to get organized for the long-term. The growing company needs solid structure and good corporate governance on which to build its future. And all companies need to understand risk. The biggest companies in the world have shown us the roadmap to long term stability: organization, efficiency, and preparation. The policies and procedures that make these companies powerful are every bit as necessary to the growing company because they reflect time-tested business principals. Too often, however, young and growing companies go without benefit of counsel because they either feel they can’t afford outside counsel, or have not yet reached the point where they are prepared to hire a full-time general counsel. To solve this dilemma, many companies are turning to a hybrid solution – outside general counsel. Such programs strike a balance between the need for consistent legal advice and the cost of a full-time general counsel. Employing outside general counsel is simply outsourcing, just as you might outsource HR or employee benefit consultants, but with a few key distinctions. First, using outside general counsel is about value spending – spending less now to get the products and services you need to save more down the road. The need for quality legal advice is not lessened by tough economic times, in fact it may become even more critical in tough times. As budgets tighten, value spending becomes a critical tool in the CFO’s arsenal. Second, using outside general counsel is about developing relationships that help build your business and allow it to manage its legal budget more efficiently over time. Last, using outside general counsel forces you to get to know your own company, identify its future, and plan the path to that future. So how does it work? Your company contracts with a law firm to establish a consistent legal presence in support of your day-to-day operations, working remotely or on-site depending on your needs, in exchange for a flat fee. During that time, the lawyer is solely dedicated to company business and operates just as a full-time general counsel would by working on specific projects, being available to provide advice as issues arise during your normal course of business, answering questions from your employees, and working on new initiatives and long-term corporate governance projects. By being on site and dedicated to your company, the lawyer gets to know your company quickly and thoroughly, and is thus well positioned to advise you immediately on legal developments affecting your business. The outside general counsel is responsible for advising on all company actions, drafting, implementing, and managing corporate governance policies, and managing the company’s legal affairs – the same role performed by a full-time general counsel. But because of flat-fee billing an outside general counsel will cost far less than a full-time employee. Why Use Outside General Counsel? Managing legal costs does not mean cutting budgets to the lowest possible level or simply hiring the lowest-cost provider. Rather, managing a legal budget means getting the best value for each dollar spent on legal fees. Proper planning now can pay huge dividends later. Regular legal counsel helps companies understand and avoid risk, thus reducing the chance of litigation down the road. Avoiding a single litigation can save tens-of-thousands of dollars, making the money invested in corporate counsel money well spent. One example of value spending is investing in the time to assess a litigation or potential litigation at the outset, and in context. This is true of any case, whether handled by inside counsel or an outside firm. But the context of that assessment is the key to its value. The company must understand the risks and benefits of a case in the context of the company’s business plan, reputation in the community, political implications, non-monetary costs, potential opponent strategy and how that may impact the litigation, and how the litigation or proposed litigation may fit with the company’s short and long-term goals. Counsel cannot provide that guidance efficiently unless they understand the company’s short and long-term goals, political interests, or reputation in the community. Truly understanding these matters takes time and can best be built through consistent interaction. So, the one-off litigation shop strives to understand these matters and thus guide the company as best it can. But the general counsel (inside or outside) already knows what matters most to the company, and can provide that initial assessment quickly, and in the proper context. If a matter is large enough to require outside litigation counsel, for example, then the general counsel can help select a firm who will best suit the company’s needs and objectives. Selecting the largest firm or the most popular lawyer is not always the right fit. Reputation helps, sure. But size does not mean quality and certainly does not mean efficiency. Hiring a big firm does not always mean the company’s legal dollars will be well spent. In many cases, an experienced litigator at a lean shop is a far better option than a big firm lawyer with an army of hungry associates to feed. As an added benefit, the general counsel can also manage the litigation to ensure efficiency. The general counsel can draft discovery responses, for example, saving outside counsel fees. The general counsel also acts as a watchdog, guarding against excessive bills and thus relieving the company officers from the many headaches of managing litigation. An in-house general counsel provides these benefits to a company, but at the cost of a full-time employee. Companies can nonetheless achieve these same efficiencies, but at far less cost, by using outside general counsel. Over time, a general counsel helps a company establish a work-product library of pleadings, research, discovery, and other litigation raw material gathered from other cases to be recycled in the future. The outside general counsel can help manage and deploy those resources to reduce the cost of future litigation. A general counsel can also conduct post-case analysis to help the company understand what worked and what did not. There are lessons to be learned from any engagement, and companies that strictly use outside counsel rarely invest the time or money to conduct this analysis and gather the maximum benefit from their legal dollars spent. Perhaps the best example of value-spending is money spent on drafting and implementing corporate policies that both increase immediate efficiency and help avoid potential litigation. With the aid of outside general counsel, even smaller and growing companies can have effective document retention and destruction policies, for example, that can save thousands in litigation costs. Managing a legal budget, from the cost-containment point of view, is most effective when legal dollars are spent to help a company detect and avoid risk before it becomes a problem. Deploying your legal resources depends on your company objectives. Are you building for the long term, or are you interested in maximizing short-term profitability in the hope of a buyout offer? The answer likely impacts how and where you spend legal dollars. A company looking to the long-term wisely invests in corporate policy development and long-term corporate governance. The company with a short-term exit strategy needs enough organization to make an attractive acquisition target, but needs efficiency to reduce spending. Employing outside general counsel brings consistent legal presence to your business that fosters relationship building as your company grows. In turn, your lawyer understands your business objectives and can help design and implement policies to help you reach them. Does your company need a HIPPA Compliance Program or drug and alcohol testing program? Do your hiring practices implicate the Fair Credit Reporting Act? Which programs do you need short term versus long term, and in what order should you implement such programs? The answers best come from someone with both the legal knowledge and the inside appreciation of your company. Often attorneys are only employed in a crisis situation, and must attempt to steer your company without really knowing anything about your company or its people. Consider this example. A local consulting company provides two distinct types of online audit services – one for government programs and another for private programs. The company had already retained a local firm to act as outside general counsel, and turned to their lawyer to collect on a contract breach for early termination of a private-based audit services contract. In researching the potential defendant, the lawyer learned that most of the potential defendant’s business came through government-sponsored programs. Rather than file an immediate suit, the lawyer issued a letter proposing a meeting to discuss mutual termination of the private-based audit and transfer to a new government-based audit instead. The clients met, the business folks ironed out a deal in 3 hours, and all parties left happy with new business in hand. Perhaps that same deal could have resulted through mediation or settlement after litigation began, but because of the existing relationship between lawyer and company, they were able to get to that resolution before anyone incurred any litigation costs. Using outside general counsel on a consistent basis fosters understanding between the lawyer and the company, so the lawyer can truly act in the company’s best interest when crisis arises. Get to Know Your Company. An often-overlooked benefit of using outside general counsel arises from the attention that gets paid to the business-side of your business. When was the last time you reviewed or revised your bylaws? Do they meet your current operations parameters? Is your corporate book current with meeting minutes and resolutions covering significant changes to your company over the last year? Have you complied with corporate formalities to protect against owner liability? Many developing companies are simply too busy actually operating their business to focus on infrastructure and administrative policies. In fact, many companies do not focus on such issues until they are forced to review and produce those policies in an audit or litigation context. Large companies with full-time general counsel (and staff) do not face these issues because their lawyers constantly review and update their policies. Smaller and mid-sized companies can obtain that same benefit by using an outside general counsel at a fraction of the cost. And, during that process, the company management will have the opportunity to review, analyze, refine, and thus improve its own policies to promote greater efficiency. Many companies find the process of looking “inside” hugely revealing. Corporate governance policies must change as the company grows. What happens when your business grows to the point where it needs a board of directors or employs more than 10 people and thus must meet certain labor standards? When those issues arise, your company can turn to an insider to help revise and refine your governance policies as needed to stay true to your goals without the same lead-time needed by an outside consultant. Your company will grow, and like it or not, you are likely to need a lawyer at some point. Don’t wait until a crisis to examine your risk profile, and don’t sink precious company resources into hiring a full-time general counsel until the size of your company supports that model. In the interim, using an outside general counsel will help your company seize all the benefits of consistent, competent legal advice at a rate well below what you would pay a full-time employee. The past 5 years has seen a large shift from law firms’ most basic practice: hourly billing. Big and small firms alike are increasingly offering alternative fee arrangements, such as flat-fee billing, due in part in the market’s response to ever-increasing billable-hour rates, and in part to savvy companies demanding more for their legal dollars. The Wall Street Journal recently reported that billable hour rates for top-billing partners at the country’s biggest firms increased 4.9% last year to an average of nearly $890 per hour. The local DC market features hourly partner rates routinely in the $500-600 range, with some firms charging in excess of $400 per hour even for associates. Figures like those send legal bills through the roof. Add to that the continuing need to tighten budgets and squeeze every possible ounce of value from legal dollars spent, and you can see why so many companies are going away from the traditional use of outside counsel and the billable hour. 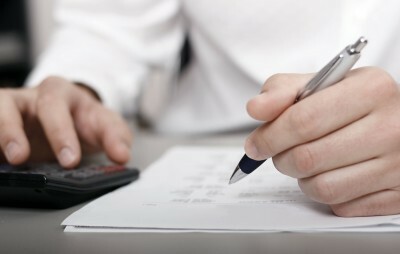 Many companies insist on alternative billing arrangements to lock in their costs. Even large corporations are insisting that their lawyers – some of the biggest firms in the country – offer flat-fee billing and even contingency fee arrangements to reduce legal bills. In addition, companies are increasingly looking internally to fill their legal needs. 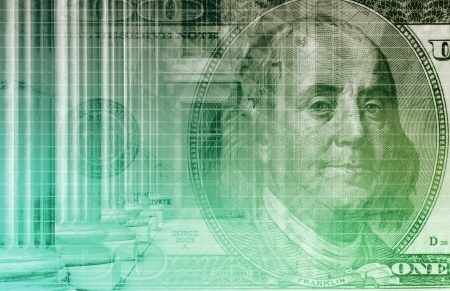 The Washington Post recently reported that businesses are relying less on outside counsel and more on internal resources, and that the percentage of companies using outside counsel for even specialty work like litigation, tax, mergers & acquisitions, and intellectual property have all decreased over the past 5 years. Companies using in-house counsel instead of outside lawyers with high billable rates see significant cost-savings. Small and mid-sized companies can gain those same benefits even if they do not have expansive in-house legal departments or really any inside lawyers at all, by outsourcing their general counsel needs. So-called “Outside General Counsel” programs combine the benefit of in-house counsel with alternative billing arrangements such as flat-fee billing to maximize savings for growing companies. The company contracts with a law firm to service its legal needs for a set monthly fee, typically well below the cost of a full-time staff lawyer. That way, those companies receive the full benefit of an in-house general counsel while still taking advantage of flat fee billing arrangements, resulting in the same cost-savings large corporations see when they rely on their in-house staff instead of outside billable lawyers. And, by contracting with a firm, the company can tap into several lawyers’ areas of expertise, rather than relying on a single employee to cover all of their legal needs, again maximizing value in their legal budget. With more and more firms offering flat-fee arrangements, progressive companies are changing, and improving, the way they spend legal dollars at the same time they improve the quality of the legal services they receive. Drafting and using a viable drug and alcohol test policy is often overlooked in the corporate setting. Professional service providers, sales companies, technology consultants – these may not seem like the traditional corporate entities that use drug and alcohol testing policies. But they should. Putting a drug and alcohol testing policy in place does not mean you believe your employees abuse drugs or alcohol, but it can help protect the company if drugs or alcohol become a problem. A clearly defined disciplinary process. An effective policy is clear and avoids ambiguities that lead to misinterpretation and can lead to litigation. A drug and alcohol policy could be used to terminate an employee, so it must be clear, reasonable, and consistent. It should begin by defining key terms, such as “Alcohol” or “Alcohol use.” Many policies refer to definitions provided in the relevant state statutes. The policy statement must educate and draw clear boundaries. It must tell employees, those who supervise the employees, and potential judges or juries (who may review the policy) which activities are not permitted. The policy should account for use and/or possession of drugs and alcohol on company property during work hours, but must also account for off-site use that impacts performance or the employee’s ability to represent the company. A categorical ban will rarely work. The policy must consider whether alcohol use will ever be permitted in a company-related function – at a reception, for example. Proper drafting requires thoughtful review of the varied situations where drug or alcohol use may arise, and how those situations may affect your company. The testing procedures used by your company can range from (a) For-Cause Testing; (b) Random Testing; (c) Post-Accident Testing; (d) Return-to-Duty Testing; or (e) Pre-Employment Testing. It may be proper to use some or all of these testing options. Normally testing should be performed by a qualified testing facility. The disciplinary action section should define the actions the company may and will take if an employee violates the drug and alcohol test policy. For example, will the company suspend or terminate for a first-offense? What are the employee’s rights to challenge a positive test result? Typically a “two-strike” policy, with a test-on-return element balances the employers’ needs and the employees’ rights. The company should consider its objectives, its employees' rights and obligations, and the nature of the company’s business to strike the proper balance. Like any policy, careful drafting requires thought. Draft an effective policy to educate your employees, protect your company, and avoid litigation. There is no better way to derail a good case then by failing to comply with the discovery rules. Most companies are now well acquainted with the revised federal discovery rules, and their state court counterparts. 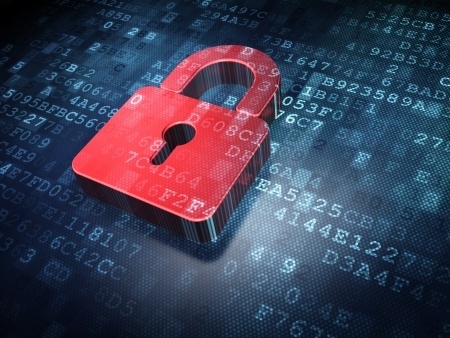 Much has been written about the inclusion of “Electronically Stored Information” (“ESI”) in the revised rules, and many companies have experienced litigation under those rules first hand. But the market change to litigating under the revised rules has been slow in coming, and many companies still lack internal procedures that not only make their day-to-day operations more efficient, but also make compliance with the revised discovery rules far easier should litigation arise. All federal and most state courts now include ESI within the scope of permissible discovery. This means that email, voicemail, instant messages and other ESI are all discoverable, and thus must be preserved. It also means that a company’s computer system, backup system and archived data, and all linked devices (handhelds, home computers, laptops, zip drives, etc.) are subject to search. Companies must maintain control of all such data, and have procedures in place to preserve it should the company face litigation. The revised federal rules, in particular, require parties to do most of the discovery “heavy lifting” up front. So companies need to be as prepared as possible. In state or federal litigation, however, companies must be able to identify all ESI sources within their possession or control, and they must find and produce relevant information. Identify the company’s computer infrastructure. Finding relevant information necessarily means the company must know where to look. “We didn’t know it was there” is no excuse in answer to a motion to compel, or worse, for sanctions for failing to produce relevant information in discovery. Increasingly, savvy litigators seek documents they know, and can prove, exist, but may be difficult to find. Don’t get caught unprepared by a well-prepared opponent. The location and contents of any relevant system and event logs. Thumb drives, Flash Memory, USB Memory Sticks, Jump Drives, etc. Valuable data is destroyed every day as a matter of course. In fact, a proper document retention policy includes a destruction component. Otherwise companies would be flooded with data and plagued by data-storage costs. However, once the hint of litigation arises, all bets are off. A company is charged with preserving relevant data as soon as it reasonably believes litigation to be a possibility. Thus, as soon as the threat of litigation rears its head, the company should immediately suspend its document “destruction” policy as to all employees and all data sources that potentially have relevant data. The key here is potentially. Be over-broad and over-cautious. The document destruction component of your document retention policy can protect you for failing to produce historical information (assuming you actually follow your own policy), but it cannot do so at any point after you had a reasonable belief that you may become involved in litigation. Let your employees know immediately that they are to preserve all potentially relevant information until further notice, and back that instruction up with threat of internal sanction for failure to comply. 4. Decide whether you need or want sampling or testing under Rule 34. Any party to a federal litigation may sample or test any other party’s electronic systems to define the scope of electronic discovery and/or test assertions regarding the availability of discoverable information. Thus, at the outset you must decide whether you want to sample and test your opponents systems and thus open your own systems to the same sampling and testing. Define testing and sampling procedures, including agreed search terms and a confidentiality agreement. Privilege Review: all documents should be reviewed prior to production. The federal rules suggest the "sneak peek" or "claw back" agreements to protect privileged documents, but we do not often recommend that option. Far too many recent decisions demonstrate hostility towards the privilege from the federal and state benches. Estimate costs of potential sampling and testing or other electronic discovery. Normally, each party must bear its costs of evidence production. But the Zubulake case makes it possible to achieve cost shifting depending on a number of factors attempting to balance the hardships between the parties. 5. Identify key company IT personnel. Your early stage discovery should include identifying key personnel in the IT department, and specifically those who will be responsible for assisting you in the litigation. At least one IT Manager should be assigned to the case, and should be responsible for conducting all ESI functions. You should expect that this person will be deposed regarding all electronic data issues in this case. This same manager can help you prepare for and analyze you opponent’s production of electronic data, if any. You may wish to divide responsibilities among one or more IT professionals if needed, but one person must ultimately be responsible for electronic data issues. As with any stage of litigation, preparation is key to managing discovery and complying with the revised ESI rules. Unprepared companies can find simple compliance overwhelming. 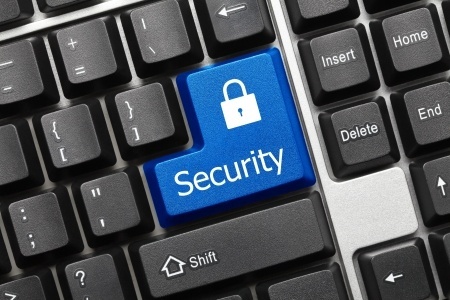 Discovery compliance can even be difficult for well-prepared companies. But certainly there is a direct relationship between a companies’ ability to manage discovery, and thus prepare and execute a successful litigation strategy, and the level of preparation regarding the location, retrieval, and production of ESI. The key to that preparation is having well defined, and executed, document retention and destruction policies. Those topics will be the subject of future articles. How should my company handle random testing? Each company should design its random testing to suit its needs; i.e. balance costs and work interruption against the need to monitor and enforce the policy. The company must decide how often it will test, and how it will select employees for testing. As an example, the company may test all covered employees twice a year at specified intervals. The company could send two employees each week for testing, but any given employee would only be sent twice in a year. If the company elects to place all covered employees in a random testing pool, it must ensure random selection. This process should be documented and recorded. What if an employee refuses to sign the policy? The company must first have in place a policy that requires employees to sign a consent and acknowledgment form. The company may then terminate an employee for refusing to sign an acknowledgment of the policy, provided that the employee has been warned in writing witnessed by others that discharge can result from refusal to sign. An alternative to such a hard-line approach would be to hold a mandatory staff meeting, publish an agenda for the meeting showing as one of the items “distribution of new drug-testing policy”, have all employees sign an attendance roster or else face discipline for an unexcused absence, discuss and distribute the policy in front of witnesses, have employees sign the consent form, have a witness sign “employee refused to sign” on the consent form if an employee refuses to sign, and note in the minutes of the meeting that the policy was distributed to everyone in attendance. This seems laborious, but following this example an employee would look unreasonable trying to claim that they were not given a copy of the policy or that they were unaware of what the policy required. Are the test results confidential? Yes. Drug and alcohol test results are confidential. The results from such tests are considered medical records and should be kept in a separate, confidential medical file just as other types of medical records. The company should not disclose any test results without the employee’s written consent. The company may release test results as a result of legal process, for example if ordered by a court of appropriate jurisdiction, but even under those circumstances it must notify the employee in writing. The company should maintain accurate records regarding all testing procedures and test results in confidential form. Can my company test some, but not all, employees? Technically yes, but avoid this practice. It can be legal to test some, but not all, employees. The policy should cover all employees, and can be broken down into more specific job categories. For example, a company could make all workers who operate machinery or vehicles subject to drug testing, but not require testing of clerical staff. Some employers test only those employees whose jobs are inherently risky. The critical element is to decide who will be covered, and then to enforce the policy in an even-handed way. What type of testing should be done? Initial tests or screens vary, and typically involve urine screens. But in order to have the best chance of protecting the company against an unemployment claim, the company should request the testing facility confirm the initial positive result using the GC/MS method (gas chromatography/mass spectrometry). The GC/MS test is more expensive than the initial screen, but the company should be sure about the test results before making adverse employment decisions based on those results. More Questions? Contact us, we can help you design and implement a drug and alcohol test policy designed to fit your company's needs. Companies often struggle with whether their drug and alcohol test policy should include random testing, suspicion-based testing, or both. Private entities may enact and enforce drug testing policies, including “suspicionless” or random drug testing for its employees. Government or public agencies may not. This has been a “hot button” in recent drug testing cases. Several federal courts have recently struck down random drug testing policies by government agencies on the basis that the government was violating the individual’s Fourth Amendment privacy rights. The U.S. Supreme Court has ruled that the government may only conduct “suspicionless” drug tests of employees in “safety-sensitive” job roles, such as air traffic controllers or nuclear power plant operators, whose job functions, if done improperly, would cause specific and potentially catastrophic threats to the public safety. But these restrictions do not apply to private entities. The Fourth Amendment to the United States Constitution restrains governmental conduct and “requires the government to respect ‘[t]he right of the people to be secure in their persons . . . against unreasonable searches and seizures.’” Chandler v. Miller, 520 U.S. 305, 308 (1997) (quoting U.S. Const. amend. IV). Private employers are free to search their employees because the Fourth Amendment “does not apply to searches by private parties, absent governmental involvement.” United States v. Humphrey, 208 F.3d 1190, 1203 (10th Cir. 2000); see also Ritchie v. Walker Mfg. Co., 963 F.2d 1119, 1121 (8th Cir. 1992). Companies should be aware of how such matters are handled in the public sector and be prepared to respond if employees raise this issue. Putting a corporate drug and alcohol testing policy in place takes a few careful steps to permit regular enforcement. Like any policy, the company’s drug and alcohol policy should be given in writing to all employees. The employees should sign a written acknowledgment that they have received and understood the policy, and a consent form. The company may wish to make execution of the consent form a condition of being hired and/or continued employment. The company should also hold a mandatory staff meeting to introduce and explain the policy and answer any employee questions. The company should consider training its managers and senior officers to observe and manage suspected drug or alcohol abuse. Actual testing should be performed by an accredited testing agency. Outsourcing this function to a qualified entity will help ensure consistent, accurate testing, and will help insulate the company from claims of improper or unfair testing methods. 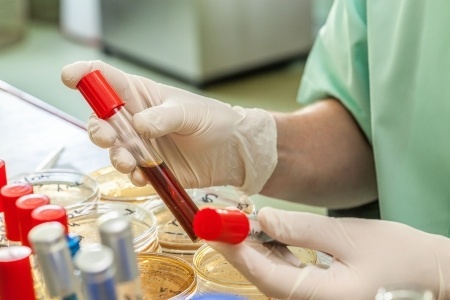 The current U.S. Department of Health and Human Services certified testing lab in Virginia is Kroll Laboratory Specialists, Inc. in Richmond, Virginia ((804)-378-9130). We recommend that the company also offer information to employees regarding possible drug and alcohol treatment sources. The U.S. Department of Health and Human Services publishes a treatment facility locator that provides contact information for substance abuse treatment programs by state and city at http://findtreatment.samhsa.gov. There are several hundred drug and alcohol treatment centers located in Northern Virginia and the Greater Washington DC area. Finally, a company may wish to consider adding an Employee Assistance Program (“EAP”) along with its new drug and alcohol testing policy. Such programs generally assist employees and family members with substance abuse, mental health and other problems that affect their job performance. Once your drug and alcohol test policy is drafted and implemented, it must be consistently enforced. Companies that fail to enforce their own policy in certain cases may be later precluded from trying to do so. In addition, disparate treatment could lead to wrongful termination and related litigation. The company should appoint a single officer responsible for managing the policy. A well-written policy will guide that officer in his or her enforcement duties, providing a step-by-step procedure in the event of a violation. The company should maintain accurate records of all testing under the policy in confidential form. Employers who use criminal background checks as part of their hiring practice are likely required to comply with the Federal Fair Credit Reporting Act (“FCRA”) because those employers obtain “consumer reports” from a “consumer reporting agency” (as those terms are defined under the FCRA). See 15 U.S.C. §§1681 et. seq. Many employers purchase criminal background checks from national providers, or otherwise subscribe to a database service where they can retrieve similar information. Those employers in turn make hiring decisions based on those reports. Those same employers should be prepared to comply with the FCRA. The FCRA defines a “consumer report” as any written, oral, or other communication of any information by a consumer reporting agency bearing on a consumer’s credit worthiness, credit standing, credit capacity, character, general reputation, personal characteristics, or mode of living which is used or expected to be used or collected in whole or in part for the purpose of serving as a factor in establishing the consumer’s eligibility for . . . (B) employment purposes.” 15 U.S.C. §1681a(d) (emphasis added). The key here is link between the phrases “any information” and “for…employment purposes.” Arrest and conviction information almost certainly constitutes information “bearing on a consumer’s credit worthiness, credit standing, credit capacity, character, general reputation, personal characteristics, or mode of living.” Thus, criminal background checks are almost certainly consumer reports. However, a “consumer report” must also come from a “consumer reporting agency”, which the FCRA defines as “any person which, for monetary fees, dues, or on a cooperative nonprofit basis, regularly engages in whole or in part in the practice of assembling or evaluating consumer credit information or other information on consumers for the purpose of furnishing consumer reports to third parties, and which uses any means or facility of interstate commerce for the purpose of preparing or furnishing consumer reports.” 15 U.S.C. §1681a(e). 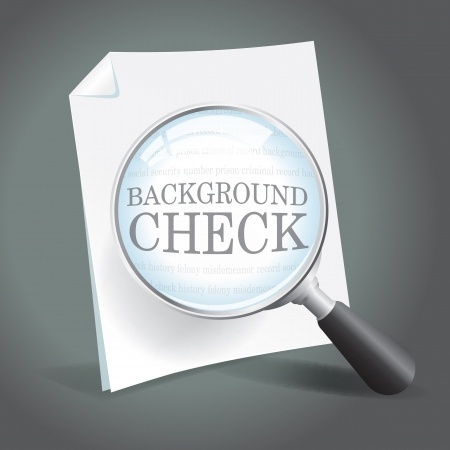 Most criminal background check providers satisfy this requirement. Accordingly, employers who use criminal background checks as part of the hiring process are well advised to comply with the FCRA. Part Two of this article will discuss how employers may do so. Part One of this article analyzed whether employers who use criminal background checks as part of their hiring practice must comply with the Federal Fair Credit Reporting Act (“FCRA”). Employers who obtain “consumer reports” from a “consumer reporting agency” are well advised to do so. But how? The Employer must make a clear, conspicuous, written disclosure notifying the individual that a consumer report may be obtained for employment purposes. The disclosure must be in a document consisting solely of the disclosure. The individual must authorize the procurement of the report in writing. The Employer may then request a report from its preferred reporting agency, but must certify to that agency that the Employer has made the required disclosure to the individual, secured the required authorization from that individual, and that it will not use the report in violation of any equal employment opportunity law. If the Employer then wishes to take adverse employment action based in any way on that report, the Employer must first provide the individual with a copy of the report and a description in writing of the individual’s rights under the FCRA. Those rights include an opportunity to correct inaccurate or erroneous information contained in the credit report by reporting inaccuracies to the credit reporting agency that produced the report. After the Employer takes the adverse action, it must give the individual notice (strongly recommend in writing) that the action has been taken. Local employers should also be aware that Maryland, Virginia and the District of Columbia prohibit employers from asking applicants and employees whether they have ever been arrested, except in limited circumstances. National employers must understand the local laws governing inquiries into arrest information before they engage that as part of the hiring process. Employers, and specifically HR professionals are well advised to review the FCRA in full, then review their hiring practices with counsel to ensure compliance.